The Writers at Daily Fantasy Winners put out a lot of great content for week 2 of the NFL. Below are several of our articles, I highly recommend looking through them all before setting a lineup tonight or tomorrow. Danny and Nick both wrote articles about which good week 1 performances you should buy and sell. Danny’s article on breakout performers can be found here. Nick’s article talks about many more players but in less detail and it can be found here. Danny also wrote an article examining the teams that the Sportsbooks like and which specific players you should target from those teams. Choosing the right players from high o/u games is essential to winning at daily fantasy football. The article can be found here. Players You Want to Avoid. Everyone’s goal is to win the Sunday Million. Max wrote an article on Sunday Million specific plays. Lastly, injuries play a huge role in picking a Daily Fantasy team. Danny talks about which injury replacements you should be looking to target in this article. Hopefully, looking through these articles will help you in your lineups this Sunday. Good luck! Max J Steinberg Max Steinberg is a professional poker player and a top Daily Fantasy player who uses his creativity and mathematical abilities he cultivated as a poker player to win money on both DraftKings and FanDuel. He already has several big tournament scores to his name including the Victiv Bowl and countless MLB Monster wins. 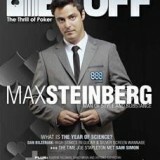 Follow him on twitter @maxjsteinberg.